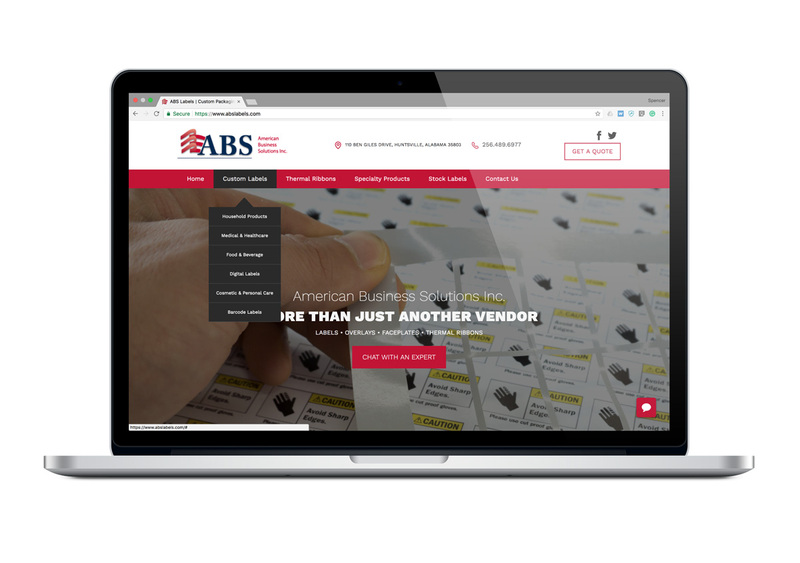 ABS Labels is a Huntsville, Alabama based business solutions company. Their core focus is in the printing and distribution of labels for corporations. 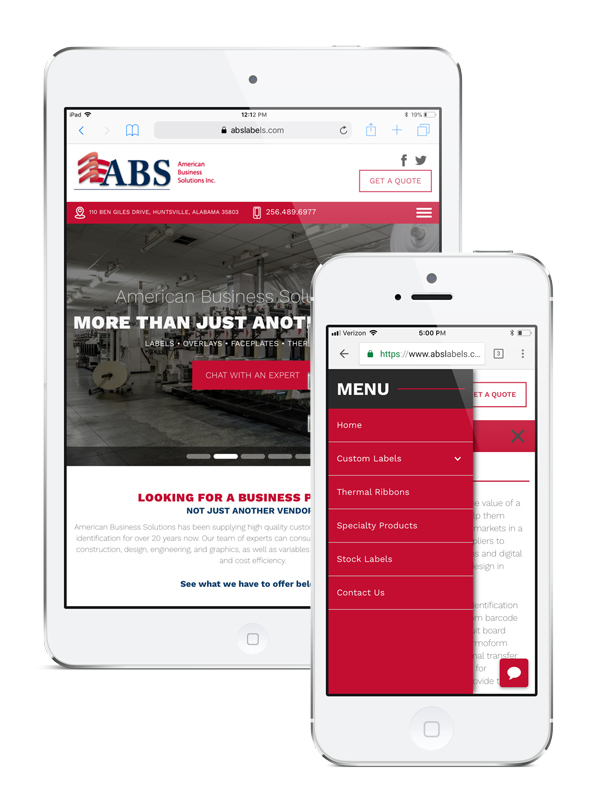 ABS was referred to us from a previous client out of Huntsville. 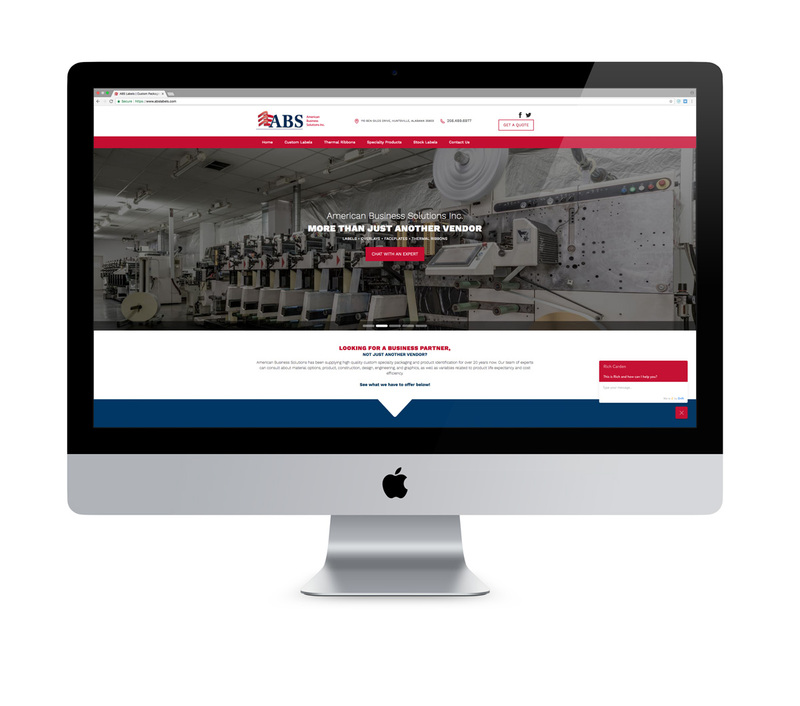 Our primary goals for this particular project were to improve upon both the user experience (UX) and SEO of the companies previous site.